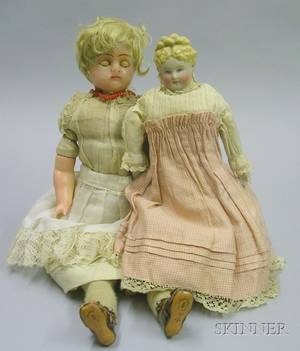 Poured Wax Doll and a Parian Shoulder Head Doll, the poured wax with glass eyes (stuck shut), blonde mohair wig, cloth body, wax-over-composition limbs, and period costume, ht. 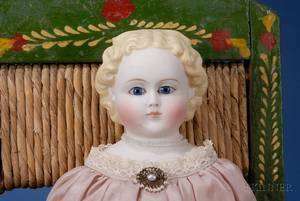 14 1/2 in. 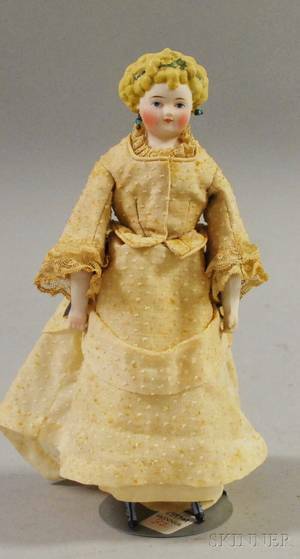 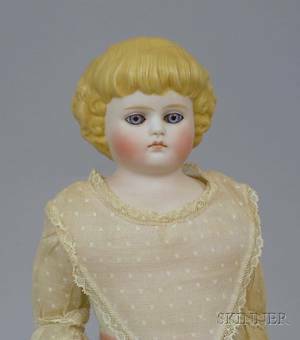 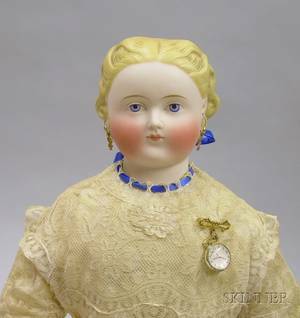 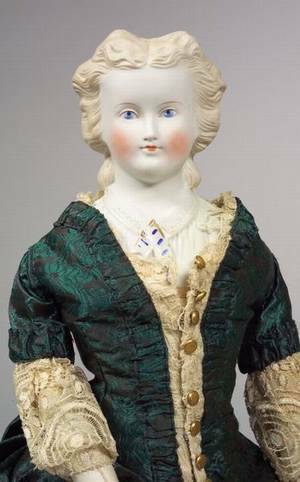 ; and blonde bisque parian with elaborate molded hairstyle, painted blue eyes, closed mouth, pierced ears, cloth body, bisque limbs (damaged), period, clothing and French bronze kid shoes, ht. 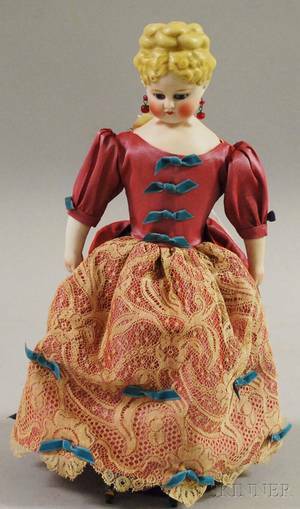 11 1/4 in. 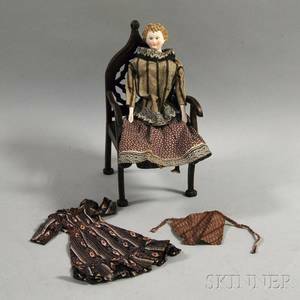 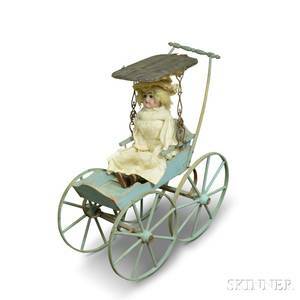 Painted Doll Carriage and a Bisque Shoulder Head Doll.